Cricket is a three-dimensional game but more focus always ends up being on batting and bowling. But the reason top teams manage to win games consistently is because they realize the importance of a good fielding unit. "A good batsman may not always score runs and a good bowler take wickets but a good fielder saves runs for his team in every game", - Sachin Tendulkar. Every successful team has a well-oiled fielding unit with fielders who are always alive on the field, ready to seize every little opportunity available. 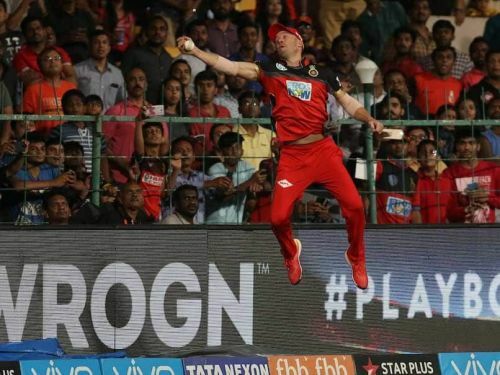 The IPL rates fielding highly and many awards are bestowed for stunning catches and exceptional pieces of fielding. There have been a few players who have been standout fielders, with Suresh Raina currently with the most catches in the league. Let's take a look at the fielding units of the teams and rate them. Criteria: Based on a combination of catch efficiency in last season and top fielders in each side. The Kolkata Knight Riders were the worst fielding side last season and dropped 22.22% of catches and were generally sloppy in the field. In fact, Nitish Rana dropped the most numbers of catches last season - five -, taking just two catches. Apart from Dinesh Karthik and his safe hands behind the stumps, there were no standout fielders in their team. Despite possessing a very young and athletic squad, KKR need to work on their fielding, and this seemingly unimportant aspect of the game can have a big impact on their results. The Rajasthan Royals displayed a very mature fielding performance last season without possessing any athletic fielder in their side. Jos Buttler was solid behind the stumps and the youngsters in the team, especially Sanju Samson, K Gowtham and Shreyas Gopal, displayed very good fielding on many occasions. They dropped only 14 catches at a good catch efficiency. The problem with the Royals was their poor field placements, and they missed out on many opportunities to choke the run flow of opposition. They'll look to display the same effort and intensity on the field while some shrewdness from their skipper will be appreciated.